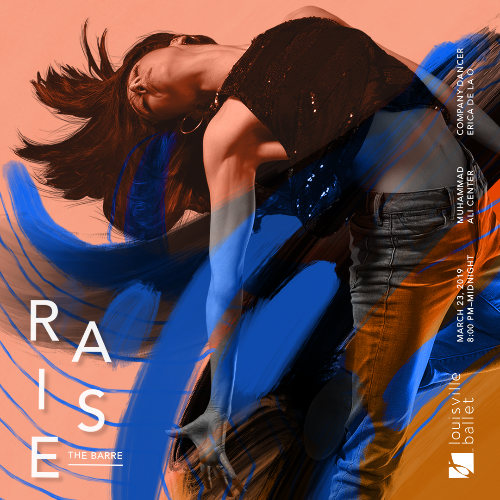 Louisville Tickets | Raise the Barre - "The Best Dance Party of the Year"
Raise the Barre - "The Best Dance Party of the Year"
Join us for the BEST DANCE PARTY OF THE YEAR! Space is limited and it will sell out! Featuring B96.5's DJ Q, a delicious spread of appetizers, bottomless cocktails and the most flexible athletes in town, all with a gorgeous view from the Muhammad Ali Center! Tickets are $100 and all funds raised support Louisville Ballet dancers. Free admission to an after-party at Play! No refunds. RAISE THE BARRE: "The Best Dance Party of the Year"